Product Details - Material- Rubber , Suitable -Large Breed, Dimensions - 11 cm, Colour- Attractive in color, Use-Fits in the mouth easily. 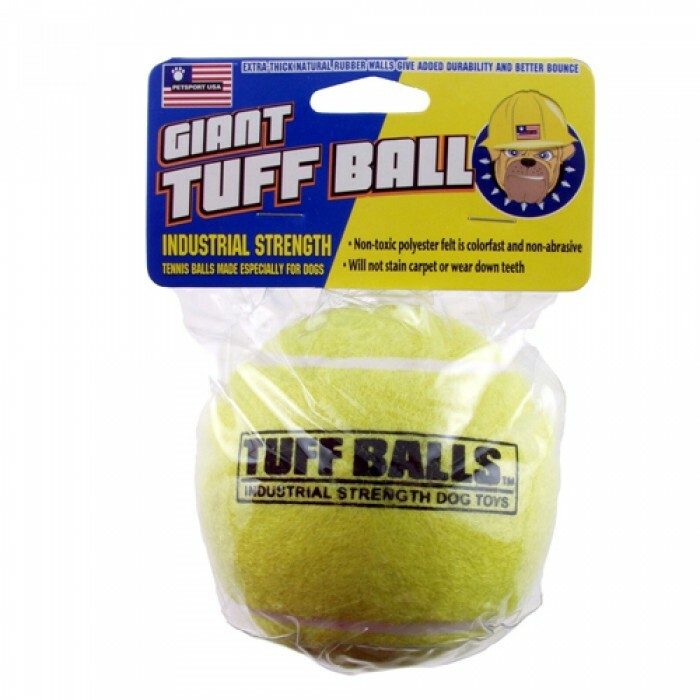 Product Information - Tuff Balls are industrial strength tennis balls made especially for dogs. Tuff Balls feature extra thick natural rubber walls, which make them tougher and longer lasting.